CNBC reportedly has a source very close to the merger deal and they claim that the deal is on the "glide path," and that if everything goes according to plan, the deal will be finalized this Thursday with a press announcement, which would put it right in place with the reports from last week that revealed that the deal was close to being finalized. It has proven to be a heated battle, but in the end, the House of Mouse has finished on top, as expected. If the announcement does come through as predicted, Thursday could be a milestone day for Disney, which is also launching the eighth installment of the Star Wars franchise, The Last Jedi, with projections of a global debut weekend haul north of $400 million. Speaking of Star Wars, this would give Disney the rights to the original, unaltered Star Wars trilogy, which many have asked for over the last two decades. It may be possible that a special edition might see the light of day, since Fox owning the rights was one of the biggest hurdles to overcome. The potential for the MCU to expand is now pretty much limitless, which has raised just as much excitement as it has questions. Deadpool in the Disney realm along with The Simpsons is a very interesting prospect that has creators and fans more than a little scared of what could happen to those properties. 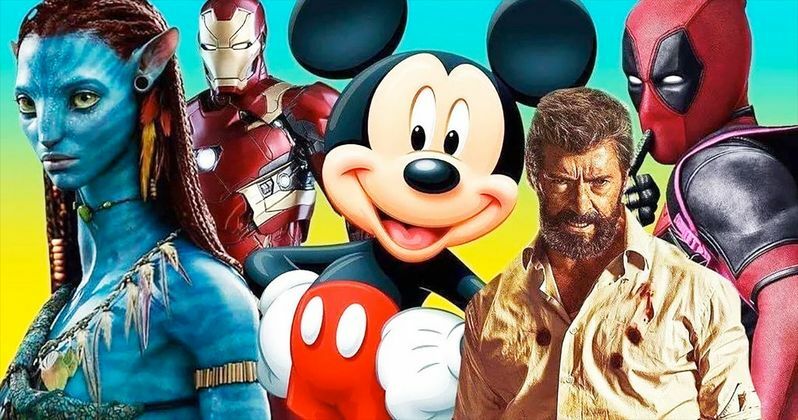 Logan director James Mangold has thrown his opinion into the mix, claiming that the Fox and Disney merger could mean less movies. The director spoke at a recent Q&A about the subject where he revealed why he thinks it would mean less movies. Mangold had this to say. "If they're actually changing their mandate, if what they're supposed to do alters, that would be sad to me because it just means less movies...The real thing that happens when you make a movie rated R, behind the scenes, is that the studio has to adjust to the reality that there will be no Happy Meals. There will be no action figures. The entire merchandising, cross-pollinating side of selling the movie to children is dead before you even start. And when that's dead, it means you're making a grown-up movie." James Mangold brings up an interesting point. There won't be a dude in a Deadpool costume hanging out at Disneyland and they're certainly won't be any Cable and Deadpool Happy Meal toys to promote the movie, which is a major component to Disney's business model. It is unclear just what exactly Disney's motives are for the merger, so worrying about merchandising and less movies isn't really something to worry about at this time. That said, it's hard to fathom that Disney will spend billions of dollars and not capitalize on the assets that Fox has already built in its storied history, including their successful R-rated projects. This is a developing story and more news is expected to drop soon, but in the meantime, head over to CNBC for more details.